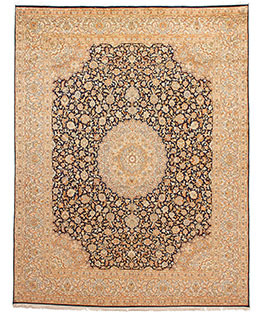 The history of carpet weaving in silk in Kashmir dates back to the 1300’s and now Kashmir has become a hub for the quality silk rugs. 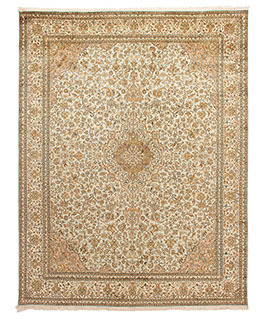 The patterns are inspired by Persian styles with an Indian influence. 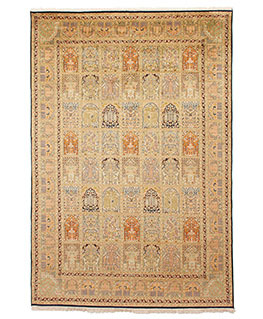 The knotting determines the quality and durability. 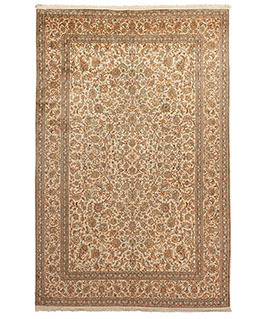 Design and color specifications in these carpets is termed Taleem. 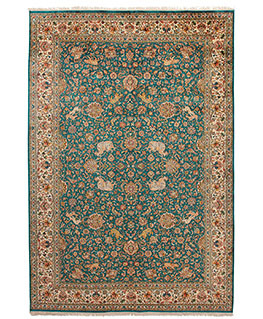 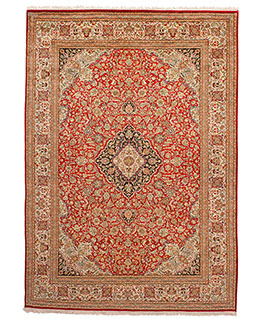 Most of the woolen carpets have a base made of cotton and wool whereas the silk carpets are woven on a silk base.